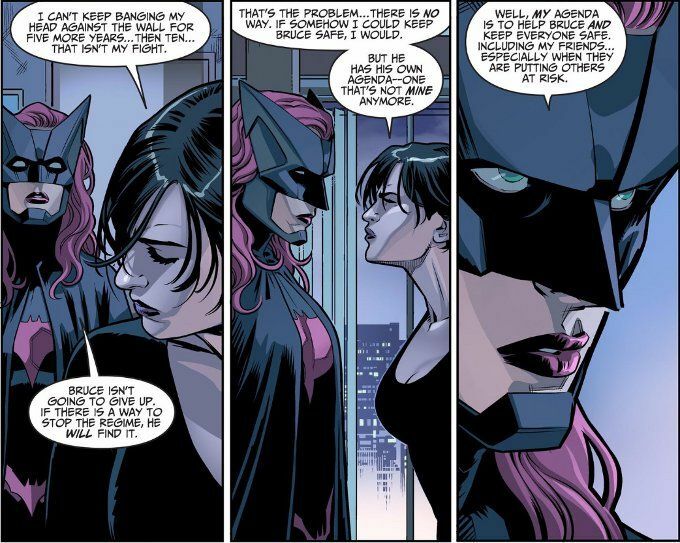 This issue of Injustice is relative light on action. Thankfully, Brian Buccellato writes a quiet character-building scene like few others can. There's some great bits of drama here, with a clearly conflicted Harley struggling with her own conflicted feelings about The Joker in talking down a group of people whose anger at Superman has prompted them to hold elevate The Clown Prince of Crime into a saint - something that would no doubt amuse The Joker to no end. The artwork is as great as the script. Since this series started, Bruno Redondo has become one of my favorite artists and this issue shows precisely why. 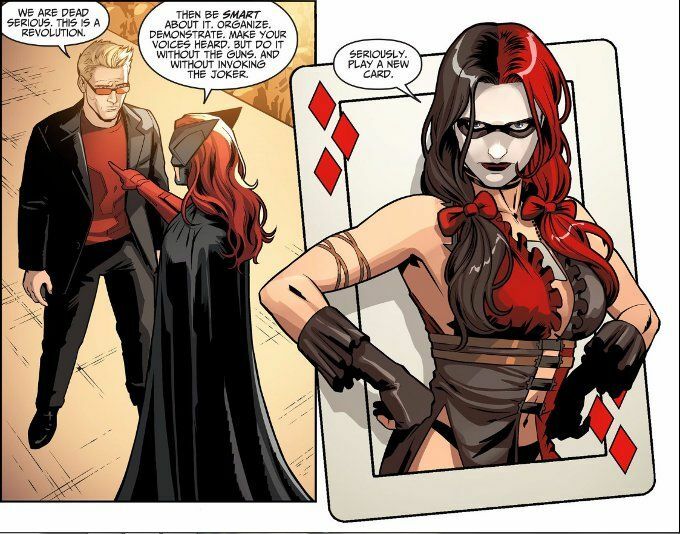 His characters have a wonderful sense of definition and there's some poster-worth scenes here, such as the above image of Harley on a playing card backing. The inks of Juan Albarran and Rex Lokus's color art perfectly complete the picture.